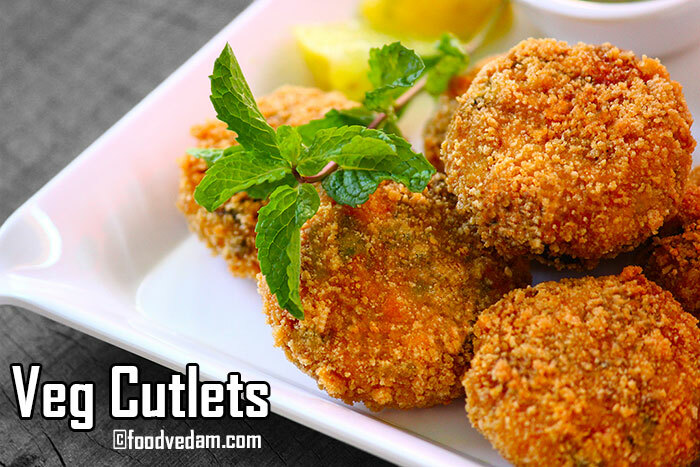 Veg cutlets recipe with step by step instructions. One of my YouTube subscribers requested me to upload this recipe.so I had to prepare these cutlets.Veg cutlets can be prepared very easily at home.I have used potatoes, capsicum/green pepper, sweet corn, green peas, and carrots to make the cutlets.but you can also use cabbage, cauliflower, french beans, beetroot for this preparation.adding paneer/cottage cheese gives a nice taste to them. 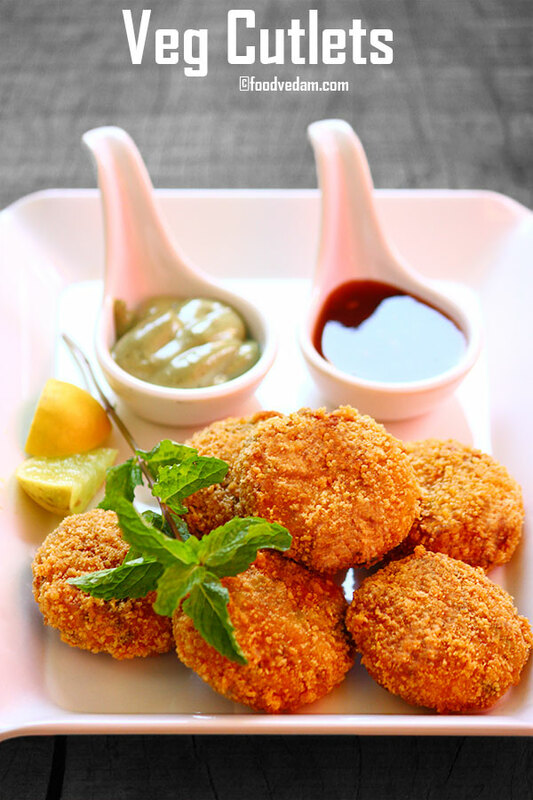 for a little variation, you can put a small mozzarella cheese cube inside the cutlet mixture and shape into a ball and deep-fry.but you need to be little careful while deep-frying as the cheese may burst out.so fry on the medium flame until they turn into nice golden color.you can also add the dry herbs like basil leaves or oregano. I have used corn flake crumbs for dredging the cutlets but you can use bread crumbs instead.if the cutlet mixture is not hard enough to bind you can add a small quantity of bread crumbs or corn flake crumbs to bring it to the proper consistency.make sure that the mixture has less moisture otherwise the cutlets may absorb excess oil.for that you need to squeeze out the water from the boiled vegetables as maximum as possible.this prevents the cutlets from absorbing oil. rinse potatoes thoroughly and cut them in half. add the potatoes, green peas and sweet corn to the boiling water. boil them for 5-7 minutes. turn off the heat and strain out the water. peel off the potato skins and grate the boiled potatoes. mash the green peas and sweet corn slightly and keep aside. take a mixing bowl.add grated potatoes, mashed sweet corn, and green peas. add mint leaves, coriander leaves, chopped green chilies, chopped green pepper, ginger garlic paste, salt, red chili powder, pepper powder, chat masala and mix well. if the mixture is not hard enough to bind, you can bread crumbs or corn flake crumbs. take 2 cups of corn flakes into a grinding jar and make into a powder. take 1/8 cup of corn flour, add 1/4 cup of water, mix well and keep aside. take a lemon-sized mixture and shape into flat round shape patties. dip each pattie in corn starch and dredge with the corn flake crumbs later. leave the patties into oil carefully. fry on both sides until they turn into nice golden brown color. Awesome! Fish cutlets too, please.